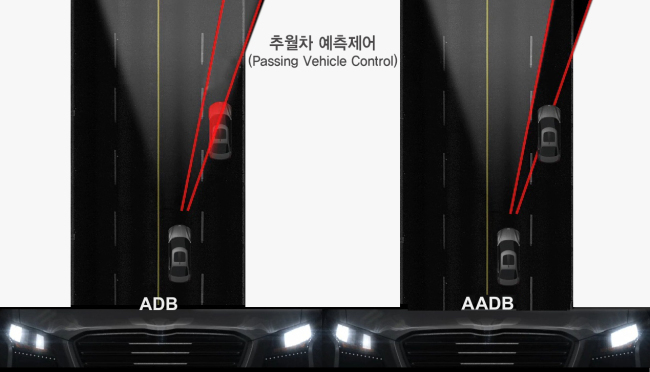 Hyundai Mobis, South Korea’s auto parts supplier, has developed the “advanced adaptive driving beam” that ensures driving safety utilizing advanced driver assist systems as part of an effort to lead the future lamp market, the company said Wednesday. The AADB collects a wider range of information compared to the previous version, including information on car lanes using the camera, vehicles approaching from the back using radar, highways via navigation system, and other sources, the company explained. Mobis boasted the latest headlamp as the world’s first of its kind, put together in about a year and half since it began development early last year. 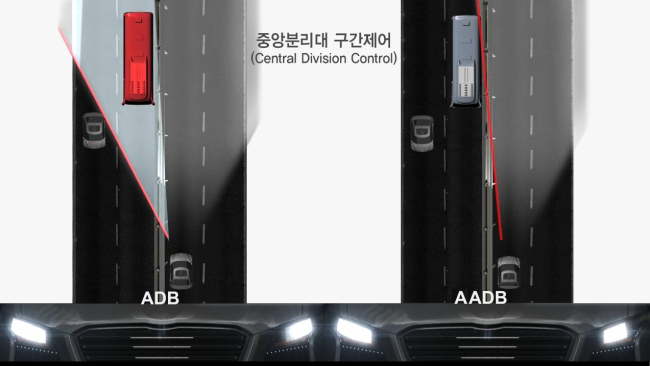 The firm noted the AADB has overcome limits of the previous version, known as “adaptive driving beam,” in dealing with surrounding cars, such as those passing from behind and those turning on curved roads. “Advanced headlamps are a mandatory technology for driving safety at night in the upcoming self-driving era. Mobis expects to gain an upper hand in forging more supply deals,” the company said in a statement. It added that due to advancements in software the firm has gained a competitive edge in price and technology without additional hardware. In the global vehicle lamp market, Mobis has clinched supply deals worth over $3.4 billion to date since 2010, while the number of its patents for advanced headlamps totals six here and 12 abroad.